I first met Abu Arab and his museum of artifacts from destroyed villages last year. Jonathan warns us to be respectful and to remember that “this is his Holocaust.” Abu Arab, a tall man with thick greying hair and a twinkle in his eye, recognizes me and greets me with a warm handshake and smile. First we wander among old, dusty farming equipment, pedal-powered sewing machines, tattered clothes, rows of pots of multiple sizes, a cross between a museum and a cemetery holding a life gone by. Listening to his story reminds me of the speak bitterness talks I first heard from elderly Chinese women in the 1970s and from a host of subsequent traumatized people from all over the world. I think of Edward Said’s words to the effect that people survive by telling their stories. I remember Herzl’s comments about Palestinians (he probably said Arabs), “No culture, no folklore, no heritage.” What did he know? Abu Arab was born in the vibrant town of Saffuriya in 1935; he remembers a time of peaceful relations between Arab and Jew. His family were peasants and fled in 1948. They were attacked during Ramadan, bombed by two aircraft, 80% of the seven thousand villagers fled, mostly north to Lebanon. After twenty-eight days, they were taken by the Red Cross to Beirut, and then to a village in Syria, but ultimately returned to their village. There is a quiet intensity to his voice, which rises with indignation, hands gesturing for emphasis. Months later, the villagers received ID cards and months after that were advised to leave in forty-eight hours or be shot. They were told to remove all the furniture from their homes and their possessions were confiscated. The villagers appealed to the courts; they had Ids denoting place of birth (Saffuriya), place of residence (Saffuriya), occupation (farmer). Over the course of five months, eighty villagers were killed, shot while collecting food for their families. Some ten Jewish settlements and moshavim were built on the bulldozed site. Abu Arab wants recognition of this crime and the right of return for internal and external refugees. He states this conflict is all about land; it is a struggle against Zionism, not Jews. He advises us: “Tell the truth, do what is good.” School children come here to learn the stories of their grandparents and to understand that these discarded artifacts are actually the treasures documenting rural life. I can imagine the village women cooking and embroidering, the families collecting olives, the collections of sisters and brothers and cousins playing in the fields. I am always impressed by the simple humanity and dignity held in Abu Arab’s memories and words. 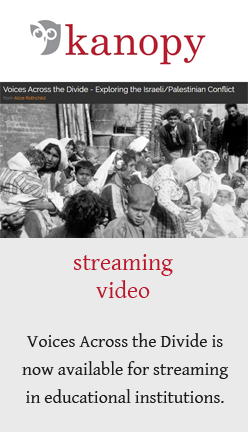 In the past few years, I have heard so many of these narratives and pored over hundreds of historical photos in the course of making my own documentary film, Voices Across the Divide, my contribution to telling and owning the story of the Nakba. I have come to understand that this history is not only a tragedy for the Palestinians, but the ethnic cleansing of Palestine is an integral part of the history of the creation of the State of Israel, just as much as the history of Native Americans or African slaves is part of US history. There is no “dual narrative” here. The Nakba is not an alternative history; it is the narrative that is invisible in Israeli society and the textbooks for all Israeli children, Palestinian and Jew. It is a story that must be heard.